After falling in love with every and each of the plays staged over last season’s Summer of Love at the Globe for their boisterous characters, circus-like atmospheres, luscious costumes and visually rich spectacles, my expectations towards Michelle Terry’s latest production of ‘Hamlet’ might have been a bit over the top, hence a final sense of disappointment. Many things about this production perplexed me. The first noticeable feature of the play consists in its gender blind staging: Hamlet is performed by Terry herself, Ophelia by Shubham Saraf, while other roles played by actors of the opposite gender include Laertes (Bettrys Jones), Horatio (Catrin Aaron) and Marcellus (Tanika Yearwood). The play also features a deaf Guildernstern, played by Nadia Nadarajah, and a bearded Pearce Quigley performing young Rosencratz. Don’t get me wrong, I am absolutely pro gender blind casting, which was also done under former artistic director Emma Rice. Let’s not forget that, once upon a time, boys played the women’s roles in Shakespeare’s plays. However, on this particular occasion, I have had the impression that this heavy gender blind, colour blind, disability blind staging was done for dubious purposes. It is almost as if the play cared more about promoting inclusion and diversity, rather than about what is functional to the dramatic constitution of ‘Hamlet’. Whilst writing these words, I wonder whether my sense of bewilderment depends on the fact that society has made me accustomed to seeing male actors playing male characters and female actors sticking to female roles, that is on an involuntary bigotry inborn in us children of western cultures. In an interview with TimeOut, however, Terry confirms my impressions by declaring that she is attempting to bring about a “socialist agenda”. Ultimately, I feel confident enough when stating the following: I find it positive when a radical change or controversial choice made in a play or artistic representation serves the purposes of what is being displayed. But when such choices respond to necessities that transcend the play or installation concerned, I wonder whether such solution isn’t fitter for a gender blending politics that has got little to do with performing ‘Hamlet’ and Shakespeare. I am all for adopting art in the advancement of ethical purposes, yet I can’t help but find rather boring the kind of art that is exclusively focused on transmitting a political message. I wasn’t exactly impressed with the choice of costumes either. Some of them respected the historical context of the play, whereas others were reflective of a fashion from more modern times. I personally would have found the contrast between young characters wearing contemporary clothes and old ones attired in traditional outfits much more interesting (or at least more coherent), but so it wasn’t and the final effect was rather confusing. The stage was bare, with no scenery nor lighting used. Only few props were brought on stage: dead Yorick’s skull, Polonius’s glass of poison and the weapons used in the deadly fight between Hamlet and Laertes. Some music was briefly played in the breaks between one act and another, consisting of a hardly harmonious orchestra of trombones rumbling from the upper stage. The general impression was the one of modesty and scantiness one expects when watching a low-budget production, despite the fact that the Globe can well afford richer arrangements than that. If this lack of special effects and poor use of technology had been compensated by outstanding performances and a creative use of bodies and space, I would not have a thing to reproach. However, when I heard people laughing during the scene displaying the chain of deaths of six different characters and representing the tragic peak of the dramatic action, I did not take it as a good sign. 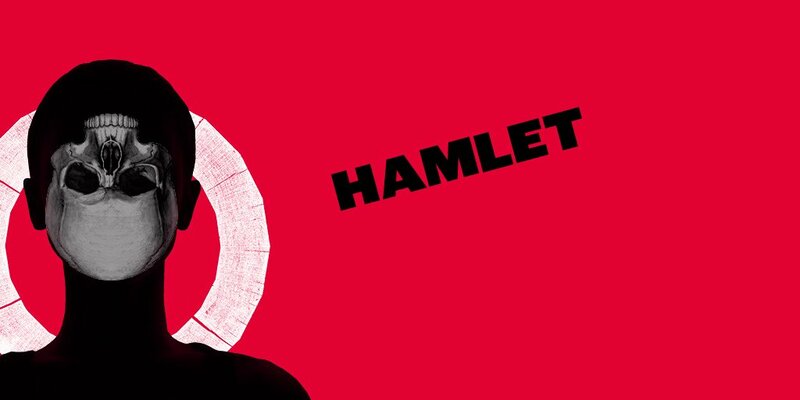 As already stated above, I suspect my disappointment with this production of ‘Hamlet’ might have been affected by my intemperate adoration for Emma Rice’s memorable creations. I cannot put into words my bafflement when she was compelled to step down after only two seasons because the board at the Globe “did not understand what I saw, what I felt and what I created with my actors, creative teams and the audience” (here the link to Rice’s open letter). The official reason for her departure was that the Globe wanted a return to “shared light” productions, without modern sound and light rigging. But some saw it as a battle between the traditional and the experimental, with the latter – and Rice – coming out losers. Whatever the rights and wrongs of that argument, it is unquestionable that the Globe found itself in a tricky situation when looking for a new candidate for the role, earlier this year. The appointment, for example, of a white, male director (especially one with traditional tastes), following the undertone of sexism that accompanied Rice’s leave, would have dramatically fuelled controversy. The ideal candidate was someone who would simultaneously please the audiences Rice had tempted to the Globe with her playfully sassy brand of work as well as the board’s desire for a return to more traditional practices. And Michelle Terry, with her extensive experience of performing Shakespeare but no directorial background, stood out as the perfect solution. 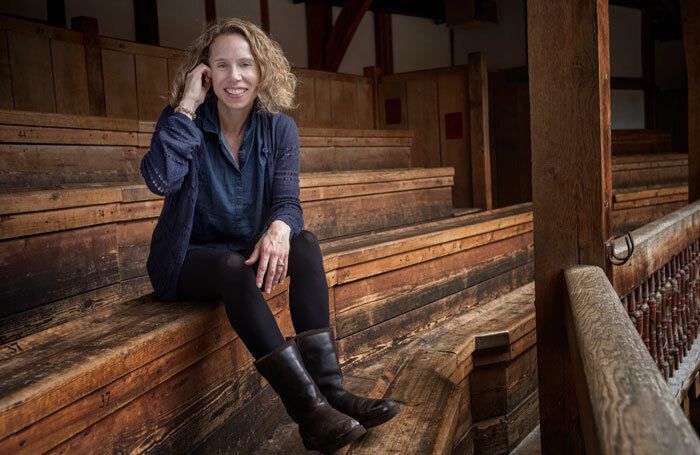 However, after seeing ‘Hamlet’, I think Michelle Terry might suffer a “fear of castration” from the upper castes of the Globe and be petrified by the same “wish-I-could-but-I-can’t” complex that torments Hamlet, her debut character. My impression is that her ‘Hamlet’ attempts to be daring and subversive, but is incapable of going all the way through, ultimately resulting in an odd, rather unsatisfying hybrid. I am curious to see whether there will be any more interesting developments in the next production of ‘As You Like It’, showing at the Globe from 2 May to 26 August 2018, although with my expectations considerably lowered.